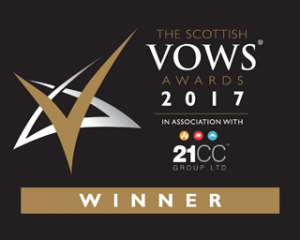 Weddings are our passion – every wedding is individual and we love helping our clients create a truly magical experience! A wedding is the single most important day of a person’s life and for DJs who present a major part of the event, there are no rehearsals! This is why we do our utmost to give you the wedding reception of your dreams! 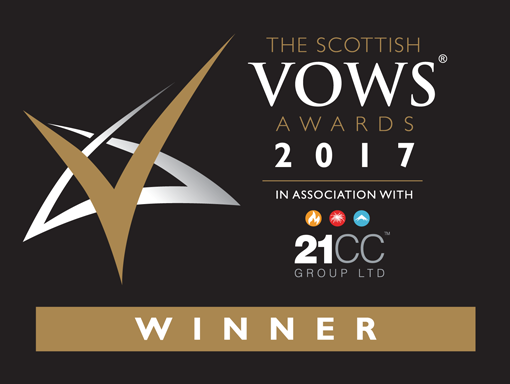 We are proud to have won the VOWS (Voted Outstanding Wedding Supplier) award two years in a row for 2016 and 2017 in the “Musicians and Entertainment” Category. Performing at a very special event like your wedding is a job for a professional with experience. This makes us the best choice and here are the reasons why! Work with you and remain contactable from the moment of booking until the last song has been played. Provide a written contract of booking for your peace of mind. Take time to get to know you both at a pre-wedding meeting, to find out your likes/dislikes in advance. Be punctual, reliable and appropriately dressed. Be polite, approachable and put you at ease. Play music to suit all ages and welcome playlists in advance of the event. Produce, direct and stage your entire evening’s entertainment. 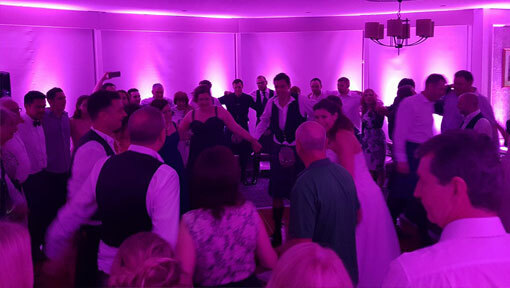 Scottish country dancing is a brilliant way of involving everyone. We can instruct or “call” the dances meaning even novices can seem like experts! 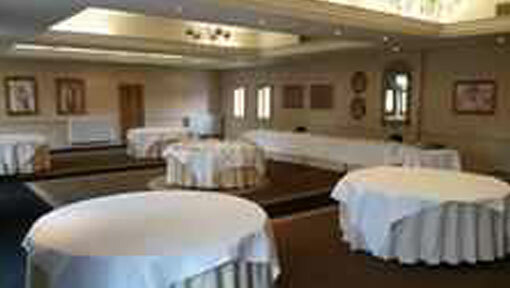 Our wedding rates generally start from £645. 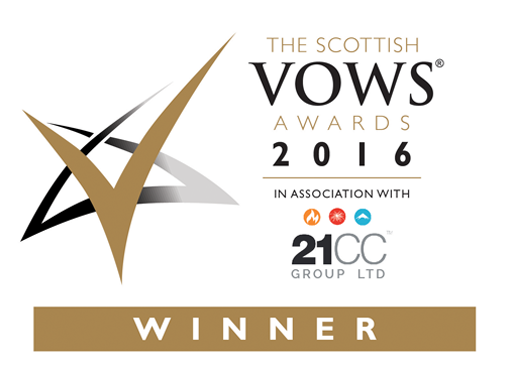 “We would just like to thank you both for such an amazing wedding reception, what a party! Everyone is still raving on about it, the dance floor never got quiet! We also managed to move the entire dance floor 5ft from its original position with all the bouncing! Will you have music during your wedding ceremony? Create a stunning impression by using mood lighting for your event! Why not impress your guests with a unique laser show? Many venues do not offer sound equipment or have limited resources for ceremony music. Often couples are left worrying who is going to be responsible for this on their special day. 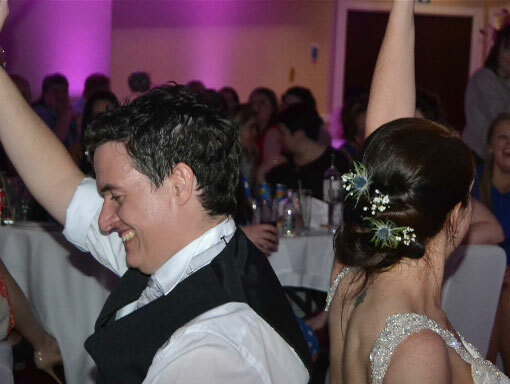 Rather than rely on a staff member or relative, we are delighted to be able to provide ceremony music of your choice and will ensure the smooth running of the music at your wedding service. If your preferred music is too long or short, we can easily edit the track in advance at no extra cost. 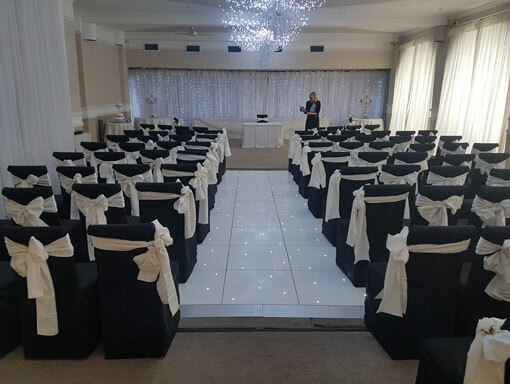 As an optional extra to the standard lighting show, or even in replacement for the “flashing” disco lights, you too can have that ‘wow’ factor for your special occasion by use of uplighting to transform your venue and help create your weddings perfect atmosphere. 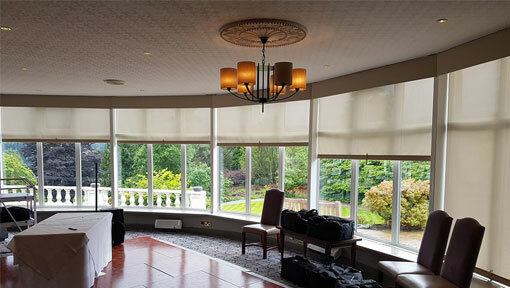 Ideal for marquees but now regularly used in hotels or halls, mood lighting is a worthwhile, cost-effective way of adding your individual mark on your event. Mood or Uplighting at The George Hotel, Edinburgh. These photos clearly show the difference this makes to the room. 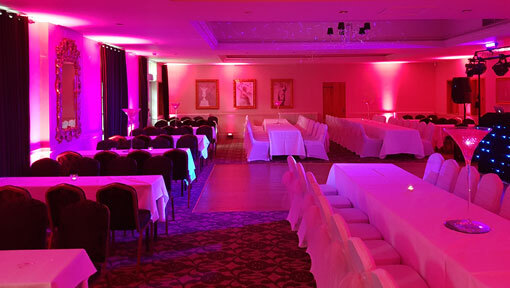 When added to our DJ package, mood lighting in virtually any colour can be added for as little as £175. This incorporates 15 mood lights, enough to transform almost any room. Prices to hire mood lighting alone will be quoted individually according to venue and location. Why not impress your guests with a unique laser show? This is a new method of personalising your evening by displaying your name in lights along with various animations i.e. love hearts, rings, champagne flutes etc. Personal messages to/from your guests can be included as well! Please see the sample video. Prices start at a fantastic £50. From initial enquiry, we personally plan, produce and stage a client’s entertainment requirements along with providing appropriate lighting to enhance the overall experience. As this is our full-time occupation, Gordy is a DJ defeats the stereotypical DJ by working closely with customers beforehand, identifying their needs and delivering them from start to finish. We remain contactable at all times – before, during and even after your event.